The Grand Gobbler is a serious turkey frying package at a very reasonable price. It’s designed for those big, big turkeys of over 25 pounds. 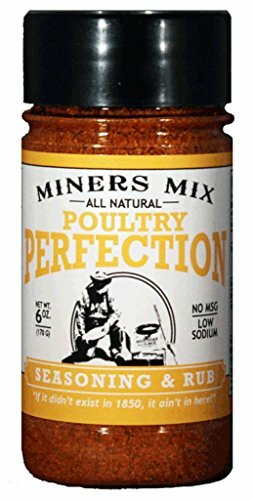 Most turkey frying kits can handle birds of 15-20 pounds quite easily, including some of the indoor ones. However, it’s far less common to find a turkey fryer for the big boys. 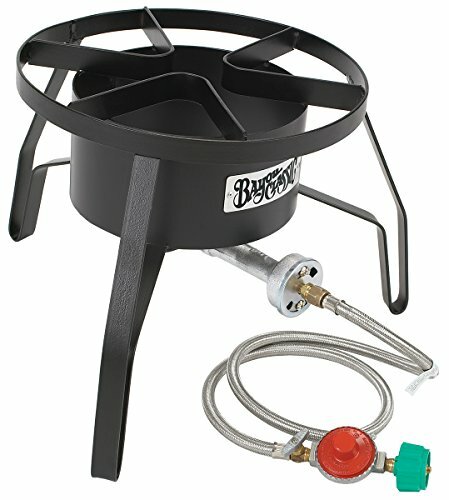 This outdoor turkey fryer runs on propane, and the kit includes everything you need but the tank. It’s an easy way to get up and running for Thanksgiving or Christmas food this year! This Grand Gobbler Turkey Kit for Large Birds from Bayou Classic is perfect for those big family celebrations where you want to cook only one turkey and you want to do it right. Of course, it handles smaller things like chicken, fish, meat or seafood equally well. In case you haven’t tried it yet, deep fried turkey is moist, and juicy on the inside, and crispy and golden on the outside. Your family will keep coming back for more, year after year so be ready for it! See: How to Deep Fry a Turkey. We all know how busy Thanksgiving or Christmas can be in the kitchen. Oven space is at a premium and you probably want to cook desserts, side dishes or roast some veggies. 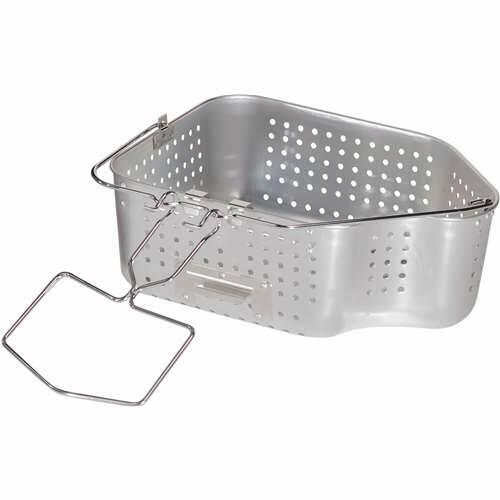 Now you can because you’ve freed up a ton of space with your turkey fryer. You’ll also save a ton of time—compared to roasting, deep frying takes around 1/4 of the time, making it easy to just enjoy the time with your family and friends. 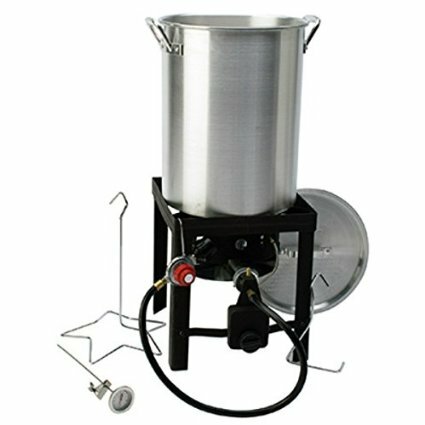 Homebrewers will Love it too! 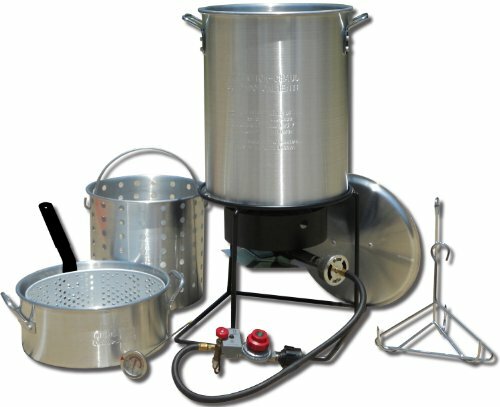 Another use of this turkey fryer kit is as a homebrewing pot. You can make some seriously large batches of homebrew beer with this one! This deep fried turkey kit includes everything you need to deep fry a turkey except the propane bottle. And please note, this kit is for outdoor cooking only. 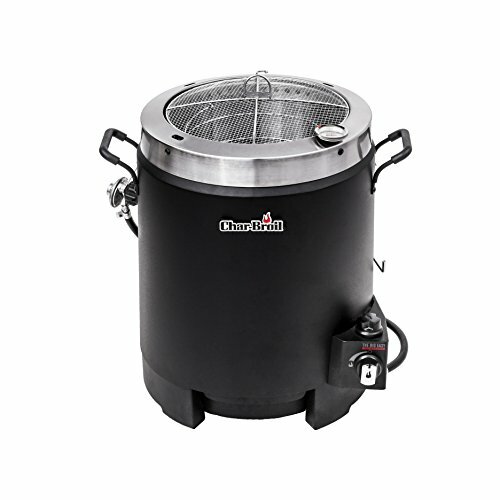 If you’re looking for an indoors turkey fryer, check out: Top 5 Indoor Turkey Fryers. 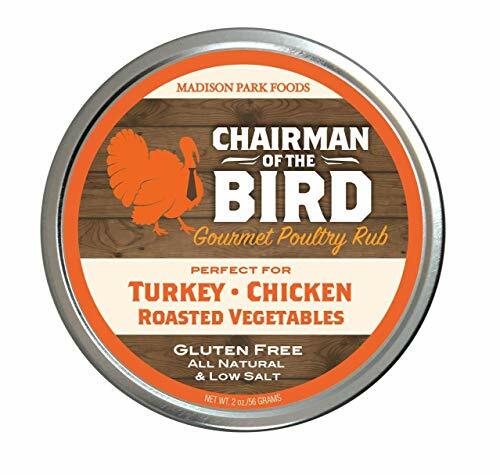 If this Grand Gobbler Turkey Kit sounds exactly like what you need, click the button below to head on over to Amazon. Welded stand that is a foot off the ground—this makes it easy to lift and handle the pot of boiling oil! Aluminum pot. Although it’s top-quality, commercial grade aluminum, the stainless steel pots are better (see: Stainless Steel Turkey Frying Pots). 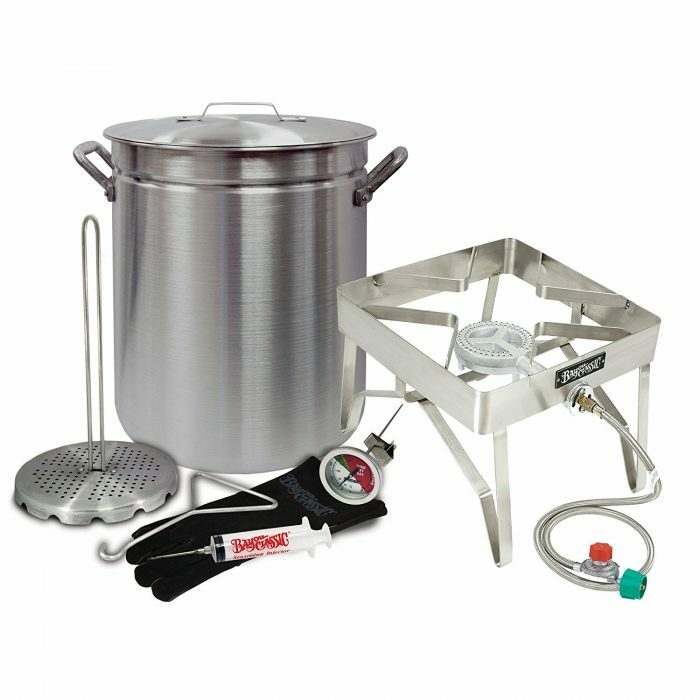 Quite expensive for a kit that doesn’t include a stainless steel pot (See this Cheap Turkey Frying Kit). 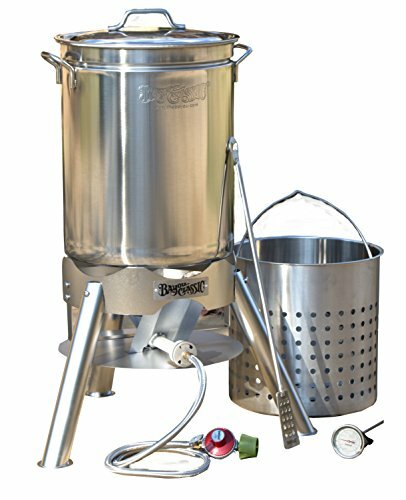 If you’re looking for an outdoor oil fryer that can cook a large turkey of 25+ pounds, then this Grand Gobbler Turkey Kit from Bayou Classic might be your best choice. There are very few other kits there that can handle such a large bird safely. It can actually handle a turkey that’s 35 pounds, if you’re able to find one this big in stores! However, be prepared to use a ton of oil and for it to take a long time. For best results and when considering safety concerns, we recommend sticking with turkeys of around 20 pounds. 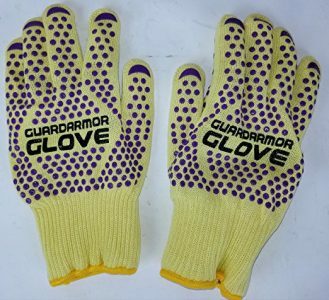 If you want to go bigger though, the Grand Gobbler can handle it. The price is reasonable for what you get- a total deep frying package that includes everything you need but the propane tank. 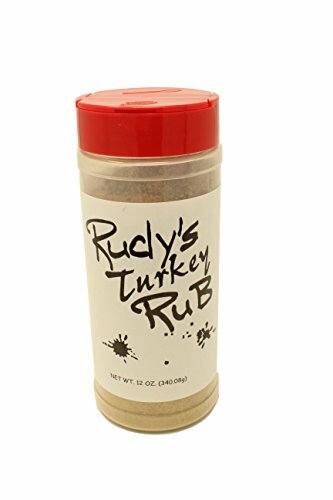 And, of course, get ready for some crispy, delicious turkey this holiday! Have your Say about this Large Turkey Fryer! What are your thoughts about this 25 lb turkey fryer? Leave a comment below and let us know. Also be sure to share this article on Twitter, Facebook, or Pinterest.